Frank Bisignano, who was co-chief operating officer at JPMorgan, is leaving the bank to run First Data Corp., a payments processing firm. Another one of Jamie Dimon's key executives is leaving JPMorgan Chase, the firm announced Sunday. 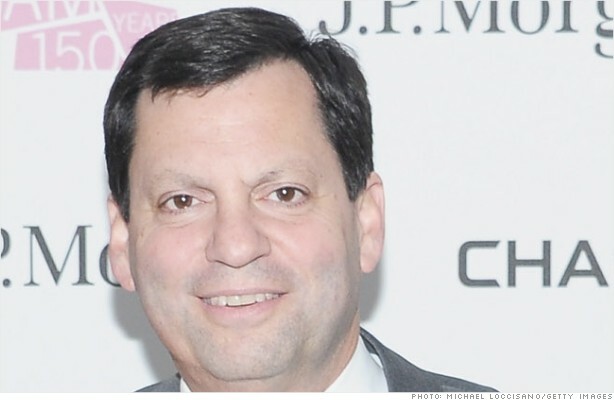 Frank Bisignano, co-chief operating officer along with Matt Zames, is leaving the bank to run First Data Corp., a payments processing company owned by private equity firm KKR. Zames, who now appears to be the clear frontrunner to lead JPMorgan (JPM) when Dimon retires, will be the sole COO of the bank. "I am pleased that Matt Zames is expanding his role," Dimon said in a statement. "He is a proven business executive, who has performed exceptionally well since coming into his corporate role in May of last year." Several recent departures at JPMorgan have been related to the London Whale trading scandal, which led to about $6 billion in losses and sparked several Congressional hearings. But Bisignano's reputation was not tarnished by those losses. "I have worked with Frank for many years, and he has proven himself time and again as a highly talented executive willing to take on difficult challenges and get the job done,"